I want to address a concern that I have had and that others I have known have. A few years ago, my friend gave me a paper of a study on prayer. The study — which tried to measure whether prayer affected the recovery and complication rates of over one thousand people who had major heart surgery– concluded that prayer did not improve recovery rates or reduce rates of complications. This, my friends said reasonably, shows that prayer does not work. This, he urged, is evidence that traditional Christianity, with its belief about the efficacy of prayer, is a false system of belief. My friend is very smart and well-informed, so I do not treat his argument as stupid or futile. It’s worth thinking about. But let me give you a very brief overview of why I don’t think the argument works. If Christianity is true, then prayers have a impact on the world. If prayers have an impact on the world, then a study would not show that prayer has no impact. A study showed that prayer has no impact. Therefore, prayer does not have an impact on the world. How would I respond to this argument? I think I would reject Premise 2, the premise that says that the impact of prayer should be empirically testable. Given the time that I have, let me briefly raise some issues I have with the idea that the impact of prayer is testable in this way. 1. What is prayer? 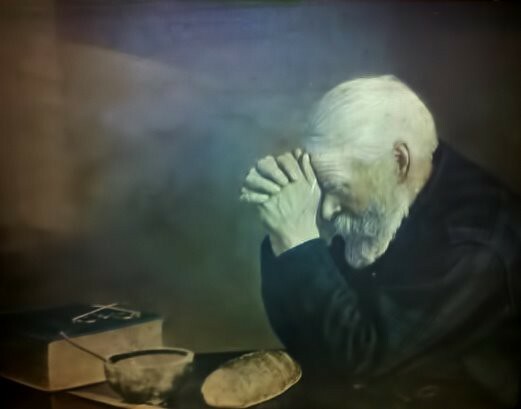 The Christian tradition — and I don’t know other religious traditions well enough to speak about them — hasn’t taught any connection between what you might say the external act of prayer. Just saying the words or praying on command (for a study’s purposes) doesn’t obviously count. And the Christian tradition teaches that things like a person’s righteousness, faith, a person’s motives, how their prayer aligns with the will of God, etc., all affect whether the prayer is genuine. As Borden Parker Browne wrote a century ago, “Prayer in the Christian sense has limitations imposed by good sense in general and also by Christian thought and doctrine.” I don’t know how you structure a test for such things. (a) Time until answered prayer: The study looked for the effects within 30 days of the period of prayer. So whatever relationship exists between prayers and God doing what is prayed for, I don’t think Christians are committed to saying that there is a mathematical relationship that shows up within a certain period of time. (b) Recognizing an answered prayer: Of course, it is even more difficult to specify what the Christian tradition means by an answered prayer. First, how do you tell the difference between a coincidence and an answered prayer? This reminds me of debates in the argument over the Argument from Design to God’s Existence — it is actually difficult to specify what you mean by design. In this case, I think it’d be difficult to objectively enumerate the necessary and sufficient conditions for an event to be considered an answered prayer. Though you might find this an objectionable idea, Christianity has taught that the sometimes the acts of God often require the orientation of a faithful life to recognize as an act of God. I think we could say the same about prayer. The Gospel of John curiously records that the disciples didn’t believe in the resurrection when they saw the Empty Tomb. No every effect of an act of God is recognizable by all. And, finally, recognizing an answered prayer is difficult because Christian spiritual reflection has often taught that God sometimes answers our deepest longings, not always what we verbalize. God, after all, knows what we want before we ask, and the Apostle Paul says that the Holy Spirit prays for us, whatever that means. And sometimes this means that an unanswered prayer was, in an odd sense, an answered prayer. Was Jesus’s prayer in the Garden of Gethsemane an unanswered, answered prayer? The deepest longing of his spirit was to fulfill God’s plan, but he was frightened. How do you test for that? 3. How do you control for prayer? As I understand it, the researchers themselves pointed out that they could not keep people from praying for the study group that wasn’t supposed to receive prayers. So, at best, this study just showed that the additional prayers of strangers does not impact the world in a testable way. So this study would only test the Christian understanding of prayer if that understanding were that whatever option got the most prayers would be what God did. Then the additional prayers would increase the efficacy of the prayers and show up in the test. But what major Christian theologian has taught that the way prayers works this way? So, again, I don’t know how you would test this. So, to conclude, I respect my friend’s argument. And it would be nice for prayer to be testable and for it to pass the test. And sometimes Christians jump at the studies that show prayers work. I have felt that tug. It’s like pre-season when people were telling me our team’s offense would be amazing. I wanted to believe — I believe, help my unbelief — but I had good reasons not to. In this case, I have good reasons not to believe that the impact of prayer is testable. One final distinction: I’m only arguing that it is not testable in practice, not that it is testable in principle. If we had the ability to distinguish genuine prayers from non-genuine prayers, to know everyone across the world who’s prayer for this event, and to know the deepest longings of people’s hearts, then maybe we could run a test. But we can’t in practice. And I don’t think that is a nice escape route for theists; it just happens to be the implications of our teachings.